After a decade, we’ve finally come to the Paul Rodriguez 9 by Nike SB. There’s not much to say, expect that P-Rod is now included in the elite team of a handful of athletes who have had the opportunity to work on 9 pro models with Nike – read how the P-Rod 9 shreds and go test it out for yourself. While the durability of the Paul Rodriguez 9 initially leaves a very positive impression, there are still some noticeable weaknesses. Let’s start with it’s positive features: the toe cap area, one of the most stressed areas on a skateboarding shoe, proved to be quite durable throughout our test. Especially since the rubber on the side of the shoe did not fully wear down and successfully protected the suede upper as much as it could. 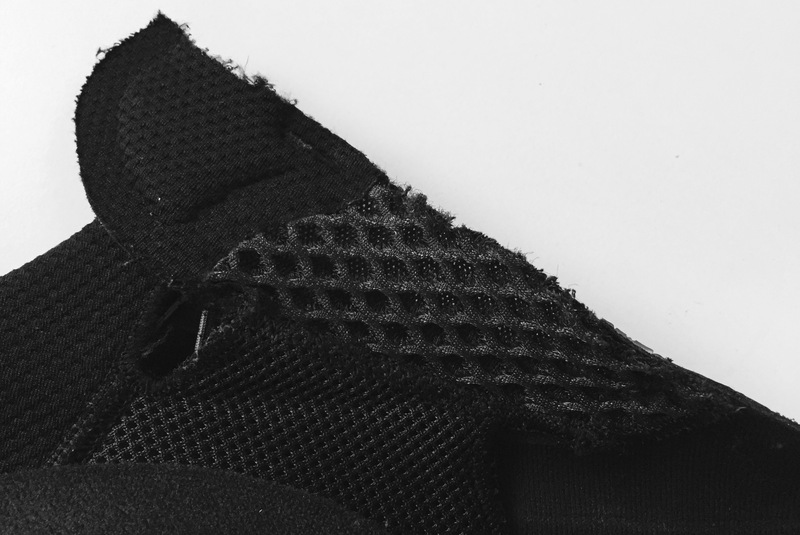 The seams which connect the lateral piece with the toe cap piece are fused, which hold up very well with griptape abrasion. Also, the suede itself leaves the impression that it is high quality and the thickness of the rubber sole increases towards the bottom sole. Nike solved the commonly occuring skate shoe shoelace rippage problem by protecting the top eyelet with a high peak of the side panel. The design of the P-Rod 9 prevents griptape from ripping the mesh because the material is pushed further back towards the heel and is quite far out of reach from griptape. The sole is extremely durable; throughout our test, it showed no signs of wear. There are basically two weaknesses regarding the durability of the P-Rod 9. The first of which are the Flywire eyelets. Flywire is a technology originally developed by Nike for use in running shoe models and other performance footwear models. The Flywire material on the four eyelets are in direct contact with griptape and very prone to stress. Two of the four wires broke after not even three sessions and the other two show signs of wear after our 10 hour test. The second disadvantage are the fused toe cap lines in the toe area which create a weak spot in the Ollie-hole area. Although, the toe cap area did not develop any holes, there were first signs of wear even after skating for only 10 hours. The Nike SB Paul Rodriguez 9 is well-suited for high-impact skating and the cushioning is exceptional. Nike is not using their patented Lunarlon technology, but instead, brings back an old friend – the Zoom Air cushioning technology. However, this time around, Nike adapted the Zoom technology and added hexagonal zoom air bags in the sole. In addition, as seen in the profile cut picture Nike also added a foam insole with an air cushioning element included as well. The use of all these cushioning elements enables it to dampen harsh landings and bails extremely well. The cushioning capabilities can already be felt from just walking or just pushing in the shoe. The feet feel well protected and safe with the new P-Rod 9. There has been a push back in the revolution with the P-Rod signature foot­wear range regarding its shape. The previous model, known for its visible technology, had a very wide and bulky shape. 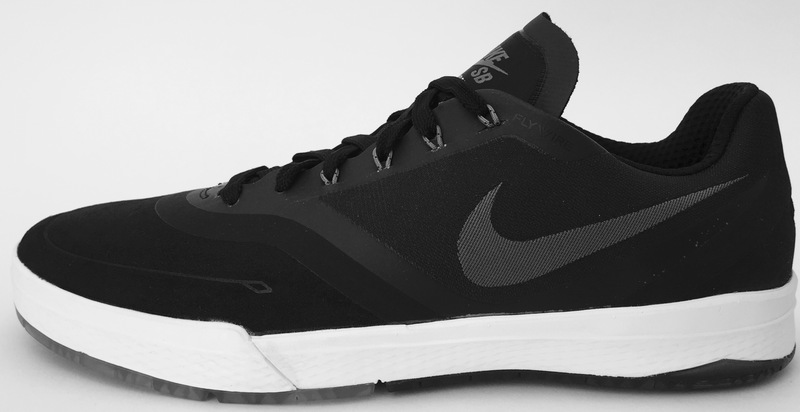 The P-Rod 9 has a significantly thinner, closer-to-the-foot, more-streamlined silhouette. The toebox of the newest iteration is well rounded with an overall arrow shape; it tapers slowly from the bottom eyestay to a centered, rounded peak. Also, the collar and heel are noticeably thinner and narrower, which create a cupsole model that fits very close to the feet and leaves a good feeling in regards to padding and width. As could be expected with a cupsole model with so much cushioning protection, the boardfeel of the P-Rod 9 is far from outstanding. Although the sole is slightly thinner in the main boardfeel area, the stiffness of the shoe itself does not allow for a perfect boardfeel. Overall, the shoe offers only average contact to the board, so the balance between boardfeel and protection leans towards impact control. However, the fine sole pattern of the P-Rod 9 features good grip. The sole is stiff in the beginning and does not really get softer after more sessions. 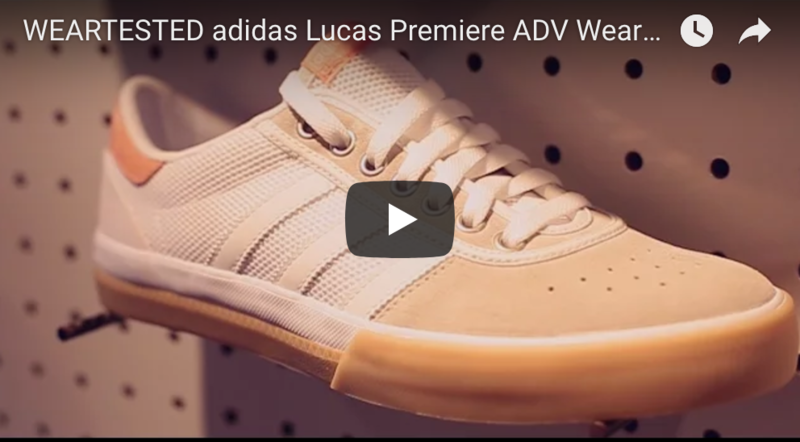 However, due to the hexagonal zoom air element, the sole naturally has cuts that offer fundamental flexibility which helps the shoe adapt to the concave of the deck and the keeps the feet from slipping. The sticky feeling of a vulcanized sole is not reached but the new Rodriguez has a typical modern cupsole grip. 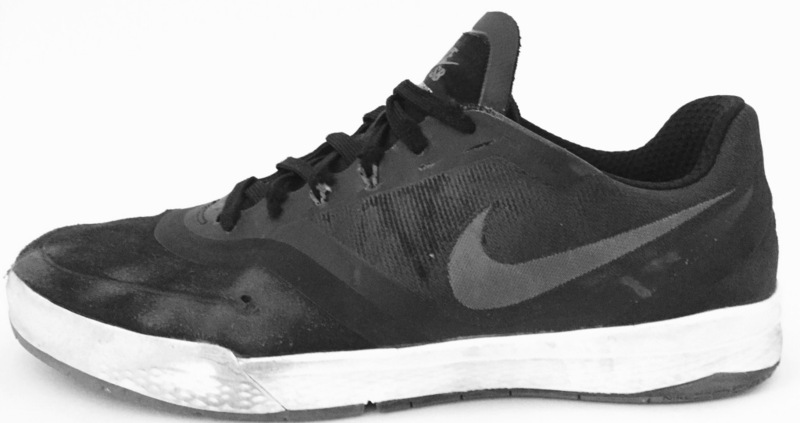 Paul Rodriguez’s newest model features a well-designed inner lining. It does feature tongue-centering straps which stabilizes the tongue preventing you to have to adjust it. The stitching in­side the shoe is limited to a minimum and overlapping panels are attached to each other by very flat or even hidden stitching to ensure a comfortable lining. A special design feature is the aforementioned Flywire technology. Although, it influences the durability of the shoe, it also has the purpose of ensuring the stability of the sidewalls. The breathability of the P-Rod 9 is way above average for several reasons. It features a thin, mesh tongue that allows airflow at the instep of the foot, a key region. As seen in the picture below, the honey-comb structure gives the tongue structure and stability but also leaves a lot of space for hot moist air to leave the shoe. Additionally, it shoe has perforation holes on the inner sidewalls. Both the tounge and the number of perforations are exceptional and ensure good breathability. The shoe has a superior heel lock due to the high sole in the heel area and a high heel cut – the foot is securely kept in position and doesn’t slip out at any time. Initially, it feels quite different and the feet have to get used to the tight fit around the achilles tendon. But after a few sessions, the soft, mesh material in the region gives way for a very comfortable feel. However, in general, the P-Rod 9 stays very stiff and barely shows any sign of adapting to the foot. A possible improvement would be the use of a more ergonomically shaped and supportive insole with a noticeable wedge under the middle foot. The Nike SB Paul Rodriguez 9 offers superior cushioning due to several Zoom Air bags and is suitable for high-impact skating. Other advantages are the outstanding breathability and the stability. Despite being very supportive, the boardfeeling and the durability both have potential for improvement.